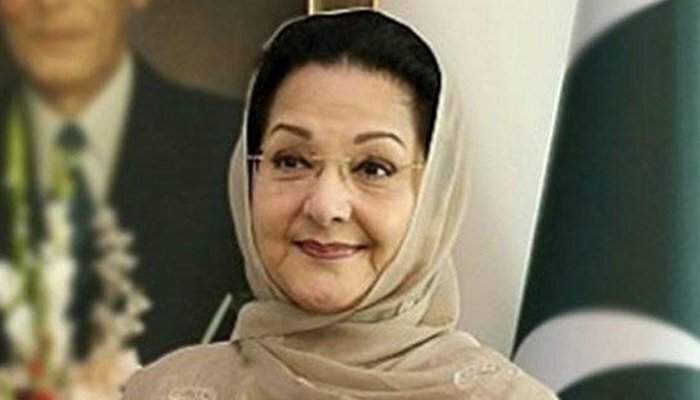 LAHORE: Begum Kulsoom Nawaz’s health has been worsening after her throat cancer began to spread to the rest of her body, medical tests indicated. The ailing wife of former prime minister Nawaz Sharif was admitted to a hospital in London in September 2017 after she was diagnosed with throat cancer. She underwent a surgery wherein the doctors removed the cancerous tumours in her throat. However, six chemotherapy sessions later, her cancer has returned and is spreading to the rest of her body, sources familiar with the matter said. She was re-hospitalised a few days ago after she vomited excessively and complained of dehydration. Upon further diagnosis, her doctors suggested that she undergo radiotherapy and stay in the hospital longer. According to sources, another surgery may be required in the next few days due to the resurgence of cancer. Nawaz, who along with his daughter Maryam Nawaz arrived in London last week to visit Begum Kulsoom, informed the media earlier that the chemotherapy treatment of his wife had ended and that the doctors had told him that another surgery would be done if cancer reappeared. The former premier told the local media that the recently conducted positron emission tomography (PET) and gallium scan had pointed out cancer growth in the patient’s body.